There could be a number of reasons behind music deletion in an iPhone. These may include factory data reset, changing iCloud sync settings, synchronizing with a different iTunes music library, etc. Fortunately, there are a number of ways to recover deleted music on iPhone. One of the best ways to recover songs from your computer to your iDevice is the use of a software called iMyFone TunesMate. 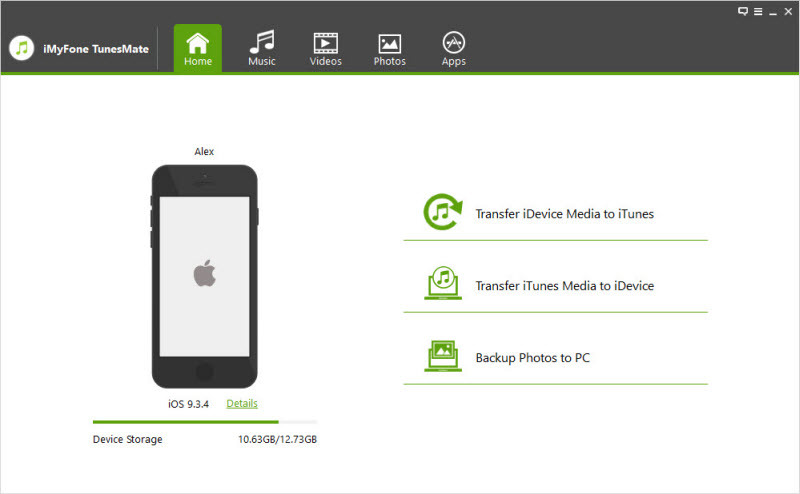 This file transfer tool provides convenient solutions to all your iPhone file transfer needs. Furthermore, the transfer speeds are also pretty fast so you can quickly recover your deleted music files from your computer to your iPhone and enjoy the convenience this software has to offer. There are many features of this useful tool. 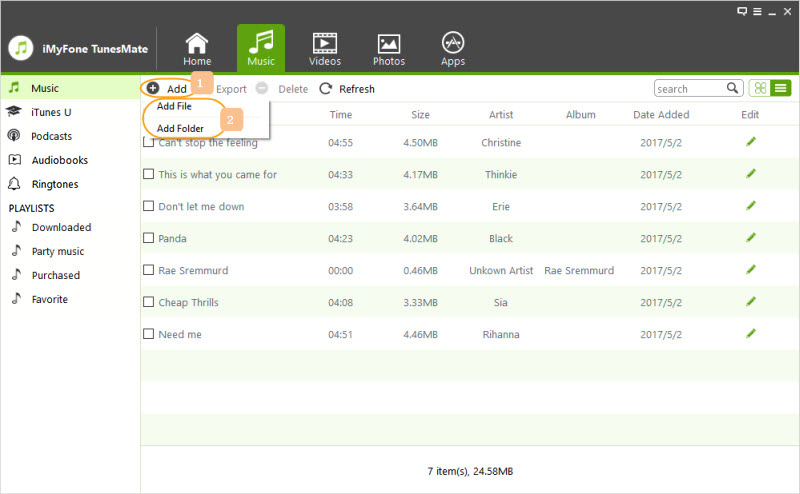 TunesMate supports all media file types including photos, music, videos, playlists, podcasts, audiobooks, etc. The software allows you to transfer files between your iPhone and iTunes/computer without hassles. You don’t need to open iTunes in order to transfer files between your iPhone and computer. This, and many other features make TunesMate the best iTunes alternative. 100% safe files transferring; your previous data is not erased when syncing files. You can share purchased iPhone media files with your friends and family, even if they have different Apple IDs. Ultra-fast transfer speed regardless of the size of files. Step 1. Connect your iPhone to your PC and open iMyFone TunesMate. Step 2. Select the Music tab on TunesMate. It will show all the music files available on your iPhone. Step 3. From the list of options, choose File > Add File and then navigate to a folder on your computer’s hard drive where your backup music files are located. Step 4. 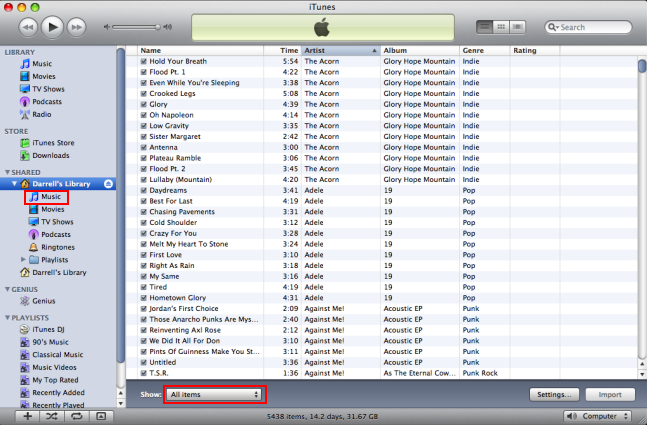 Once in that folder, choose the songs that have been deleted from your iPhone and then click Open. The transfer process will begin. Step 1. Launch TunesMate on your computer and connect your iDevice via lightning cable. Step 2. 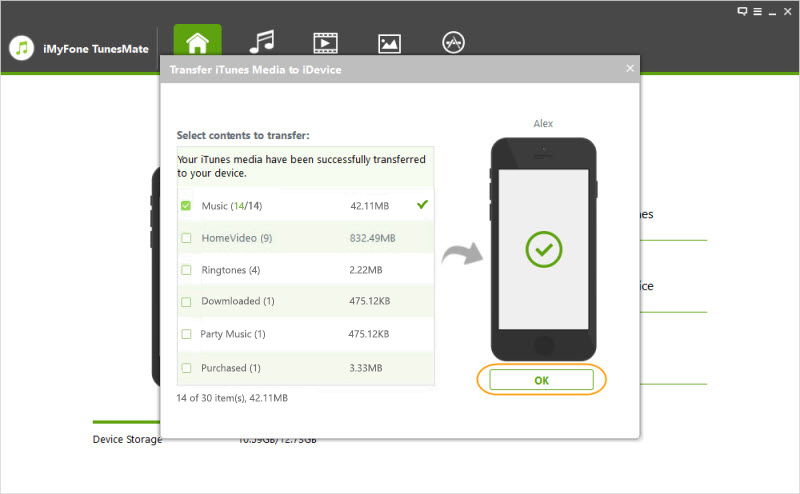 From the main page of TunesMate, select Transfer iTunes Media to iDevice. On the next window, you will be asked to choose the media file types you wish to transfer. Step 3. From the provided options, select Music and then click on the Transfer button. TunesMate will transfer the songs that are missing on your iPhone’s storage, hence you will recover the music files that have been deleted from your device. Step 1. Open iTunes. And navigate to File > Home Sharing and then select Turn On Home Sharing option. You will need to provide your Apple ID and password to proceed. Step 2. Now use the Library pop-up menu to choose a computer from your Home Sharing network (select the one that contains your music backup). Step 3. You will see a list of categories once the library is completely loaded. From that list of categories, select Music. Step 4. Find and select the option labeled “Items not in my library”. It is located in the Show menu at the bottom of the window. Step 5. 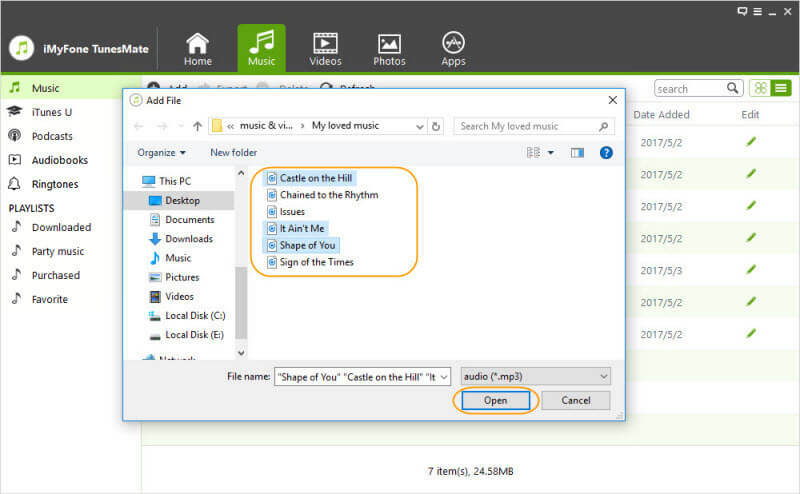 Choose the music files you wish to import and then click the Import button. File transfer process will begin. 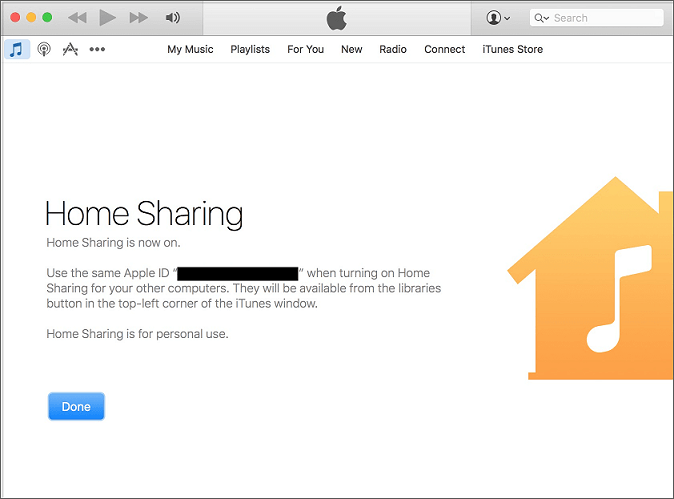 Don't Miss: iTunes Home Sharing Not Working? 8 Tips to Fix! Step 1. Open iTunes and log in with your Apple ID and password. Step 2. You will need to navigate to the Account at the top menu and click Purchased option. Step 3. Now choose ‘Not in My Library’ option if it is not already selected. Step 4. You can customize the list by using filters such as albums/songs, artist, etc. Use a filter according to your preference and then choose the songs that you wish to recover/transfer to your iPhone. Step 5. After selection, use the download icon shown next the song or on the album to start the download.